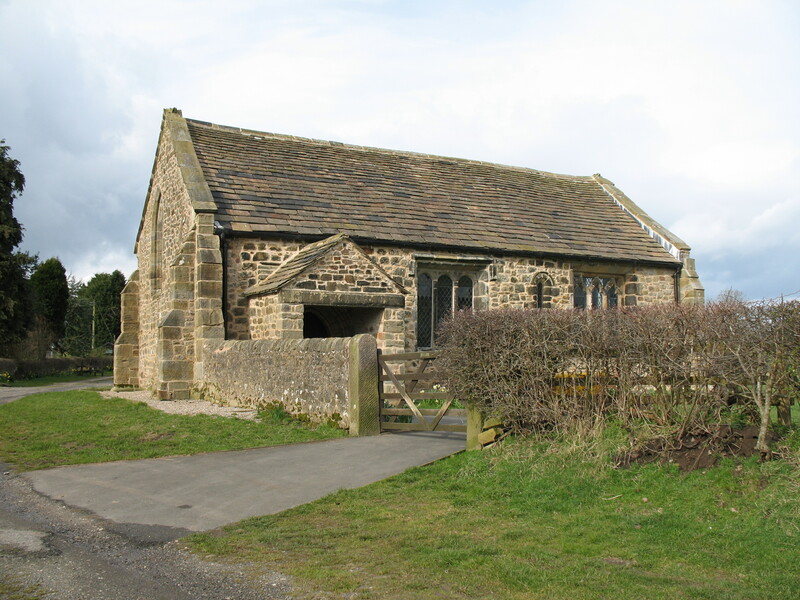 Stydd Chapel: Up a narrow track on the outskirts of the village of Ribchester is the small chapel of St Saviour, Stydd. 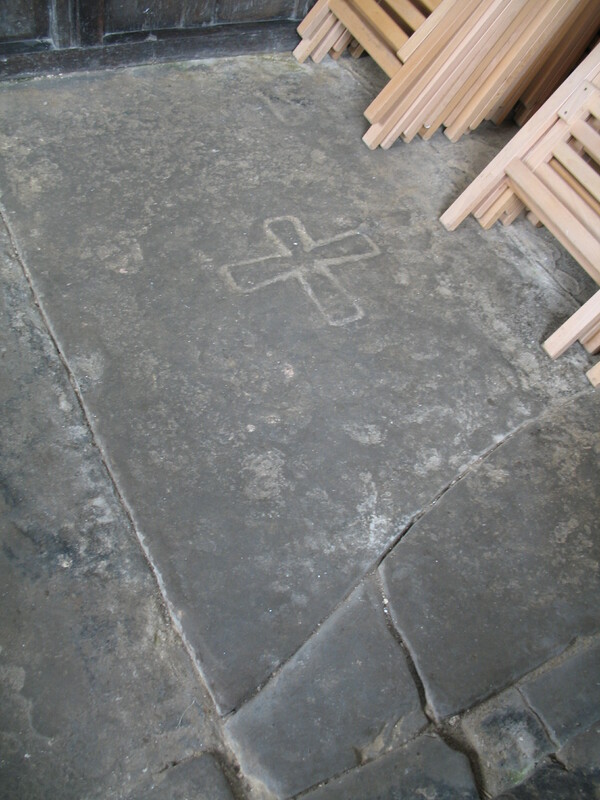 It is a tranquil place and the simple building with its stone-flagged floor and plastered, white-washed walls is one of only a few early medieval churches in Lancashire still in use as a place of worship; monthly Sunday services are held here in the summer, as well as at Christmas, Easter and on other special occasions. Yet, in this unprepossessing place it is believed a saint is buried. 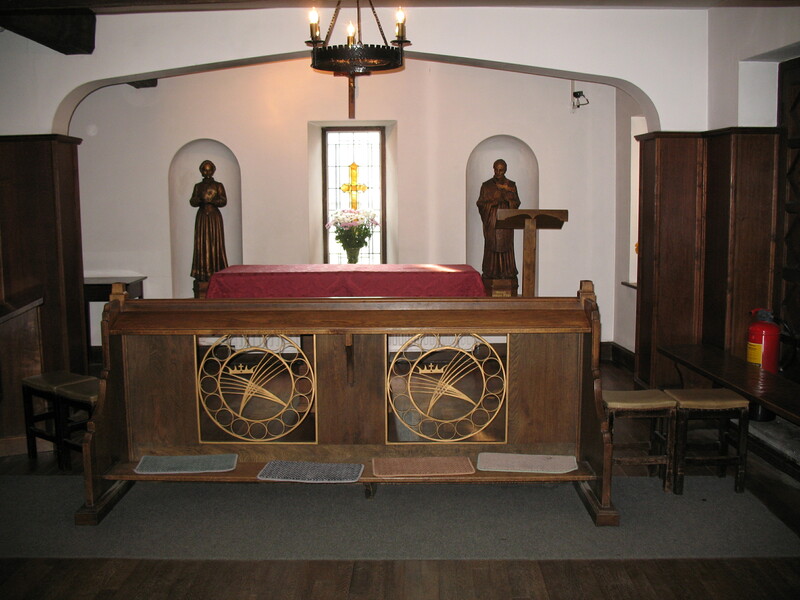 Beneath the altar at Stydd chapel are thought to lie the remains of St Margaret Clitherow, also known as St Margaret of York or the Pearl of York. There has been a place of worship here since the 12th century when deeds refer to ‘the hospital of St Saviour, under Longridge and the Master and brethren also serving God there’. It could have been a monastery and perhaps a place where travellers could stay on their journey, as the term ‘hospital’ referred to hospitality before it became widely used as the name of a place to cure the sick. And as Ribchester, once a Roman settlement, was sited at an important road junction where the north/south crossing of the Ribble met the east/west route across the Pennines it would seem reasonable to assume that such a resting place would have been welcome. By the 14th century the religious community was gone and the Knights Hospitallers rented out the land for agriculture use, although the chapel survived as the tenant was required to keep it maintained and to provide a chantry chaplain to sing masses for the dead. In 1501 Nicholas Talbot endowed a priest to sing for twelve months at Stydd, where his mother and father were buried. Local parish registers record that the burial ground surrounding the chapel was still in use up until 1879 when burials were formally discontinued. After the Reformation in the reign of Henry VIII, land owned by the Knights Hospitallers was forfeit to the crown and Stydd was sold to Sir Thomas Holt of Grizehurst, though still on condition that he paid a small stipend to a chaplain to hold occasional services in the chapel. In 1686, Stydd Manor, including St Saviour’s, was bought by a group of local gentlemen (all Roman Catholics) including James Stanford, Richard and John Shireburne of Bailey Hall and their cousins Richard and John Walmsley of Showley Hall at Clayton-le-Dale. It is possible that they purchased the chapel and burial ground to use quietly for religious purposes. Margaret Clitherow was born in York in around 1553. She was the fourth child of Thomas and Jane Middleton. In 1571 she married wealthy local butcher John Clitherow, who was a widower with two young sons, and they lived in the Shambles area of the city. Although she had been raised as a Protestant and her husband also conformed to the new religion, she found ‘no substance, truth or comfort’ in that faith and having undertaken instruction she became a Roman Catholic in 1574. It is said that she prayed for an hour and a half every day, fasted four times a week and went regularly to confession and mass. But the increasing religious suppression in the reign of Elizabeth I resulted in a requirement by the law that everyone attend their local parish church every Sunday and every feast day. And although her husband willingly paid her fines for non-attendance, Margaret was imprisoned on a number of occasions after recusancy was made a treasonable offence in 1576. However she continued to hear the mass in her home and housed a schoolmaster to instruct her own and other local children in the Roman Catholic faith. Then a law was introduced in 1585 that made it high treason, punishable by death, to aid or harbour a Roman Catholic priest. Yet Margaret had a secret room constructed that could be accessed from the upper floor of her home where priests and their vestments could be hidden. She also sent her son to Douai in France to study for the priesthood. When her step-father Henry May became Lord Mayor of York on 15th January 1586, he pursued the policies of the Council of the North in rounding up and punishing recusants. The sheriff’s men raided and searched the Clitherow’s home and although the schoolmaster escaped through the secret passage, everyone else in the house was arrested – including a twelve year old Flemish boy who was stripped naked and threatened with a flogging if he didn’t reveal the hiding place. The terrified boy showed them the secret room where they found enough evidence to charge Margaret with treason. Her refusal to plead condemned her to peine forte et dure, being ‘pressed to death’. This consisted of the victim lying on the ground with a sharp stone under their back, their arms outstretched and their hands tied and bound to two posts. Then a wooden board or door was placed on top of them and weights were added to the board until the person was crushed to death. Margaret took fifteen agonising minutes to die, during which time she cried out for Jesus to have mercy on her. After her death, at just 30 years of age, on the 25th March 1586, which was Good Friday, her body was taken by her executioners to be buried at midnight in an obscure corner of the city where no one would find it. However, it was found six weeks later and was secretly taken away, embalmed and properly laid to rest, although one hand was removed as a holy relic. It is now kept in the Bar Convent in York. Although there is no absolute proof of St Margaret’s final burial place it is recorded that the body was brought ‘a long journey on horseback’ that took a week, and as Lancashire was a place where many families stayed true to the old religion, and there was a connection between priests that Margaret had known and William Hawksworth of Mitton it is possible that the body was brought to this area. In 1915, historians from Stonyhurst excavated the ruins of a chantry chapel which had been attached to Bailey Hall, the home of the Shireburn family, who remained Roman Catholic. Beneath the site of the altar they discovered thirteen stone steps that led down to a crypt, laid out as a lavish shrine to a martyr; it was empty. The hall and the chantry chapel had been founded in the 14th century by Robert de Cliderow, so it does not seem unreasonable that this burial place was where Margaret’s body was brought. However, in later years Richard Shireburn joined Bonnie Prince Charlie in the Jacobite Rebellion and when it was unsuccessful his estates were forfeit. So was the body of Margaret moved before the house was handed over? The grave reputed to be the burial place of St Margaret. As already mentioned, St Saviour’s at Stydd had been bought by a group of gentleman, including John Shireburn. As the Anglicans had their own church of St Wilfrid in Ribchester, they didn’t need the chapel at Stydd and it’s possible that it was quietly used by Roman Catholics for their worship. It is also recorded that the Anglicans in Lancashire were sympathetic to the defeated Jacobites and that the Vicar of Ribchester had accepted two men ‘executed for treason’ for burial in his churchyard. Father Sir Walter Vavasour, who is also buried at Stydd, must have been on good terms with the vicar and it seems there would have been little to prevent the body of Margaret Clitherow being re-interred in the chapel. There is a story that says: “She was taken a horse’s journey at night and was buried; there she will remain until the church is restored to its own”. She was canonised as a saint and martyr on 25th October 1970 by Pope Paul VI. She is also the patron saint of the Catholic Women’s League. Her two sons, Henry and William both became priests. Her daughter Anne, to whom she sent her shoes and stockings on the morning of her death so that she could follow in her footsteps, became a nun at St Ursula’s, Louvain, although she was imprisoned in Lancaster Castle in 1593 for ‘causes ecclesiastical’. What she was doing in the region is not recorded, but it may have been to visit her mother’s grave. This article is an extract from my book Lancashire: Who Lies Beneath? Previous The Queen, the Duke of Lancaster! Next Priory or Friary – Who Lies Where?